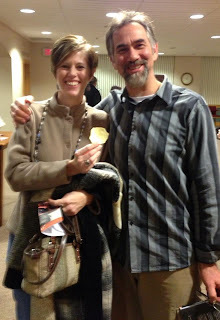 I also met Cheryl Stahle while we were co-panelists on a Google+ hangout about writing life stories. Iâ€™m so glad that youâ€™ll also get to know about Cheryl and her book, Slices of Life: the Art and Craft of Memoir Writing. I hope you’ll also resonate with her journaling suggestions as I do. Grief. Unmentionable. A taboo topic. If we donâ€™t acknowledge the presence of grief maybe it will disappear. But often it doesnâ€™t. Ted Schwartz, the surviving member of Ted & Lee (now Ted & Co www.tedandcompany.com) has recently published his memoir addressing grief at the loss of his business partner, creative muse, fellow actor and best friend entitled Laughter is a Sacred Space. Ted has transformed his memoir into a one-man stage show that immortalizes the legacy Lee left through his suicide while leaving Ted to reinvent himself. Ted is currently touring the United States bringing his memoir to life through a genre outside of a print book. And by blending mediums (stage and writing), Ted is reaching a broader audience about the healing that comes after suicide and the resulting emotions consuming survivors: anger, remorse, guilt and the pervasive feeling of what more could I have done to prevent this? Ted shares his battle between what is real life and what is acting now that his partner and best friend has moved on. Sharing emotions and the slice of life surrounding Leeâ€™s suicide first in print led to the creation of this play. Madeline Sharples also deals with grief using a multi-genre format in her book Leaving the Hall Light On. Madelineâ€™s son Paul also committed suicide resulting from his bipolar illness. Madeline wanted to share with others her story of the parent of a child with mental illness, suicide and grieving. Like Ted, Madeline faced guilt and a feeling of failure for not helping her son sooner. What makes Madelineâ€™s book unique is her combination of poetry and prose to tell the story of her son and her grieving process. Denial and anger emerge in the first chapter with the poem One Year where Madeline shares her inner secret: she is playacting through life without her son, just as Ted did with the loss of Lee. Both Ted and Madeline used writing and journaling to capture their emotions and memoires through journaling. Journaling is a useful tool for all writers but in particular, a grief journal can help capture the feelings that cannot be expressed freely or openly. You can journal in so many different styles as a way to unlock the emotions that get stuffed deep inside of us during grieving. Journaling is a creative multi-genre approach to handling emotions. A multi-genre journal contains lists, photos, stories, poems, letters, newspaper clippings, drawings, color all created to release the feelings associated with grief. If done over time, journaling can measure the healing process when you compare then vs. now and how you have changed since the initial shock of a loss. A journal also shows survival and regrowth. Use photographs and write about the memoires associated with them. Find an inspirational quote or poem and use that as a starter to share your own feelings. Select a song relevant to your relationship with the person who has passed, listen to it then write or draw the images that come to your mind as you listen. Make a quick list of your 10 favorite memories together. Donâ€™t feel obligated to write everyday but do something even if it is to just draw an emoticon representing your emotions. Select a color that represents the person you have loss and describe the color and the emotions that flow from you as you write. Write a letter to your loved one expressing how you feel. What you â€œdoâ€ with this grief journal depends upon you. Think of journaling as a gift towards healing. Sometimes you may feel empowered to share what you learned during your healing process. Maybe you will venture down the path that both Ted and Madeline did and create a tribute piece to a loved one using a combination of genres or a traditional memoir. But whatever you attempt, do something to capture your healing and allow yourself a time and place to express your loss. About Cheryl: I absolutely love Cheryl’s suggestions for starting a journaling habit – especially that she suggests introducing photos, music, and color. 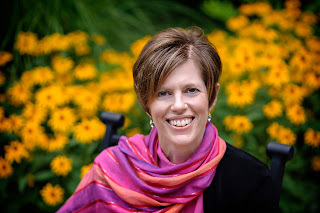 Multitasking writer enjoys chaos and chardonnay Cheryl Stahle, memoirist, writing coach, teacher and author has set as her life mission to help people tell their life stories using her years of experience as a writing coach combined with a slightly off-center perspective of the world. Her latest book Slices of Life: the Art and Craft of Memoir Writing available at www.yourbestwritinggroup.comas well as Amazon and Doylestown Bookshop (and frequently a box of them sits in the trunk of my car for impulse buyers). By day, she teaches English for a cyber school and runs writing circles to help authors of all ages and abilities capture life stories. Check out Cherylâ€™s writing circles, workshops and journaling activities at www.yourbestwritinggroup.comor MeetUp.